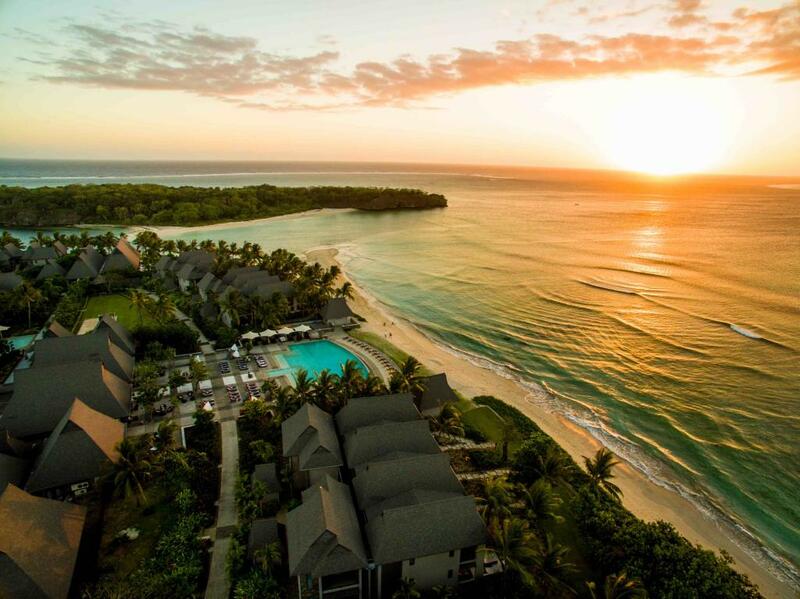 InterContinental Fiji Golf Resort and Spa offers the perfect beachfront location on Natadola Beach along Fiji's Coral Coast just 40 minutes from the Nadi International Airport. 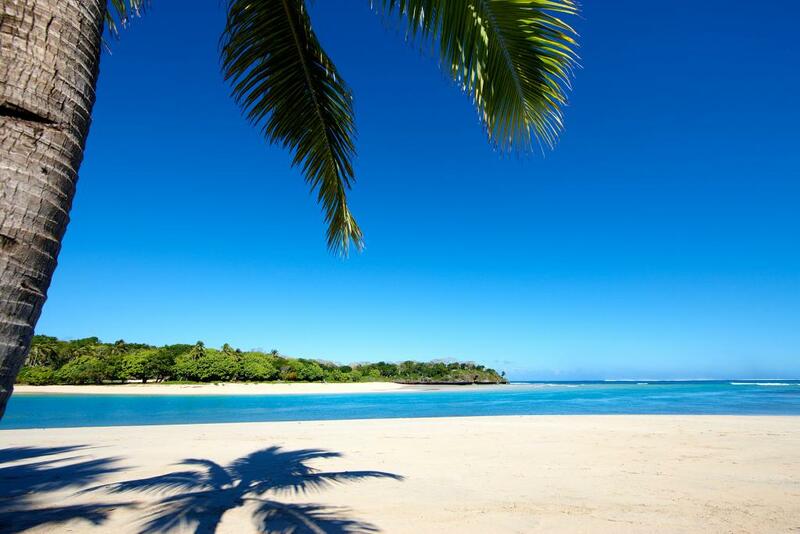 This Fiji accommodation is set on 35 acres which boasts manicured tropical gardens and a palm fringed white sand beach perfect for swimming and snorkelling. 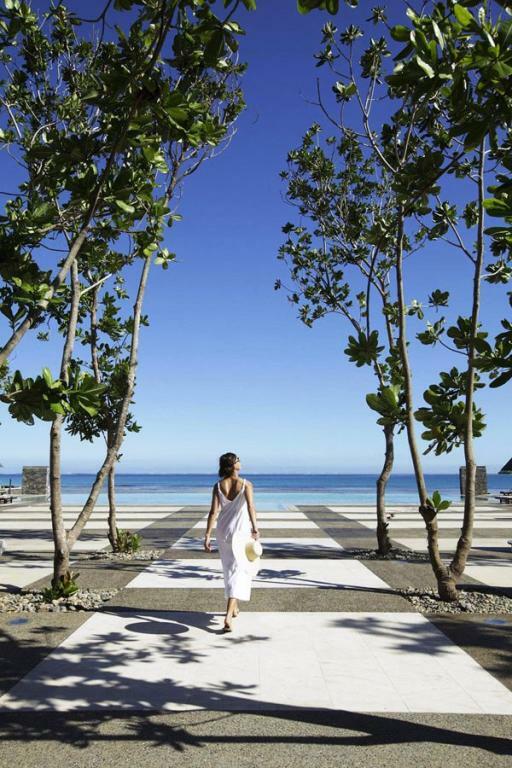 This luxury 5 star Fiji resort provides breathtaking 360 degree views of Natadola Bay and is ideal for a luxurious romantic escape or tropical getaway with the family. 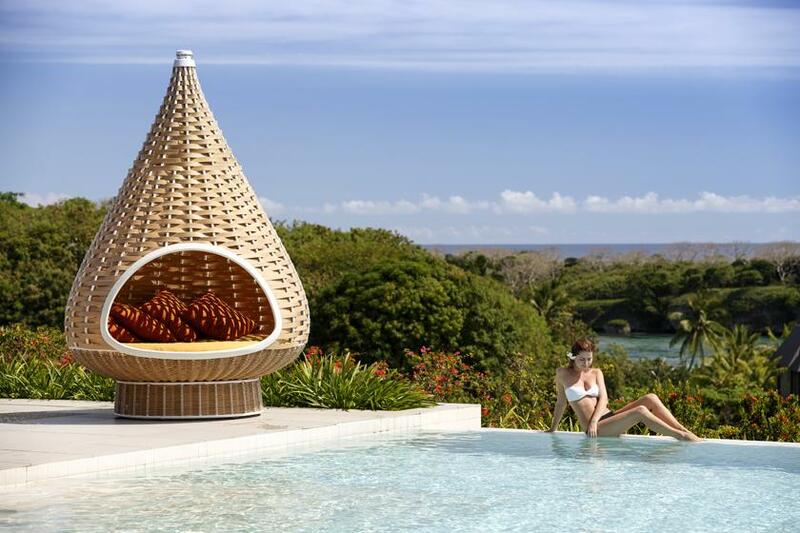 This Fiji accommodation offers guests a range of well-appointed and spacious guest rooms with the layout of the resort is inspired by the traditional Fijian outer island villages. 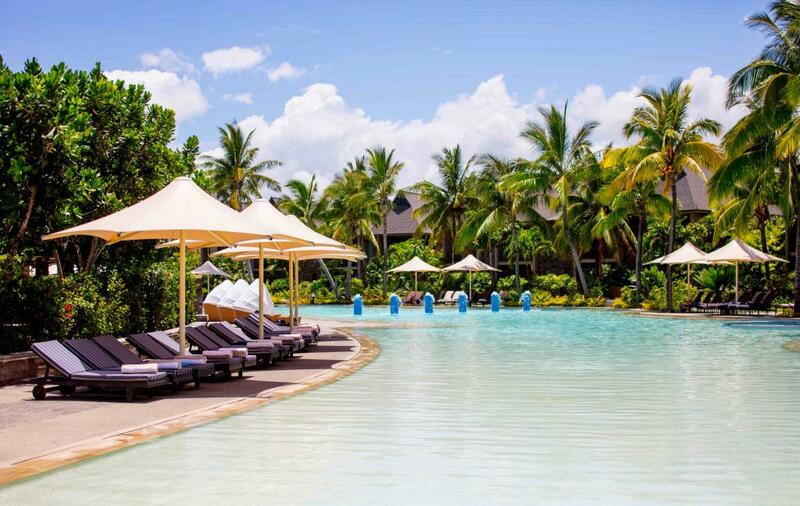 Couples and families can take advantage of InterContinental Fiji Golf Resort and Spa's superior facilities such as an 18 hole championship golf course, 3 swimming pools, 5 restaurants and bars and a luxurious day spa. 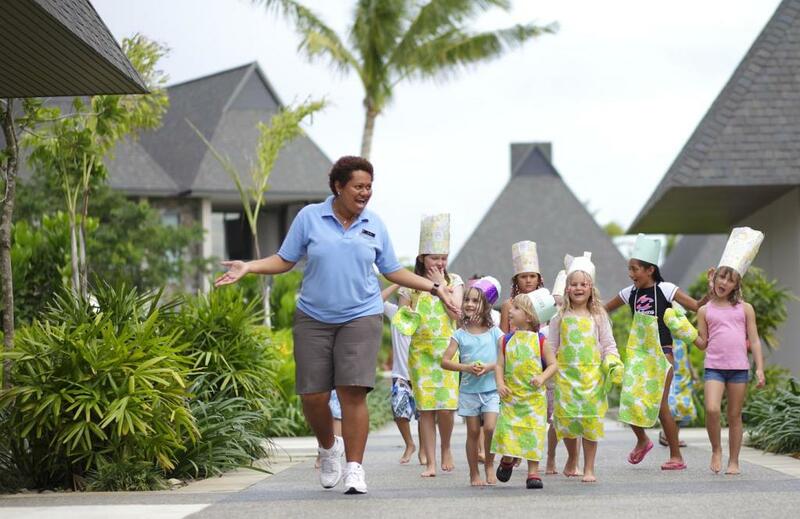 Children will be entertained and make new friends in the Planet Trekkers Kids Club, or enjoy a fun filled family holiday in the expansive 105 metre activity pool. 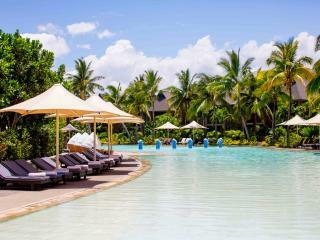 With luxurious accommodation, fantastic resort facilities and ideal location, the InterContinental Fiji Golf Resort and Spa is perfect for your next Fiji holiday with family and friends. 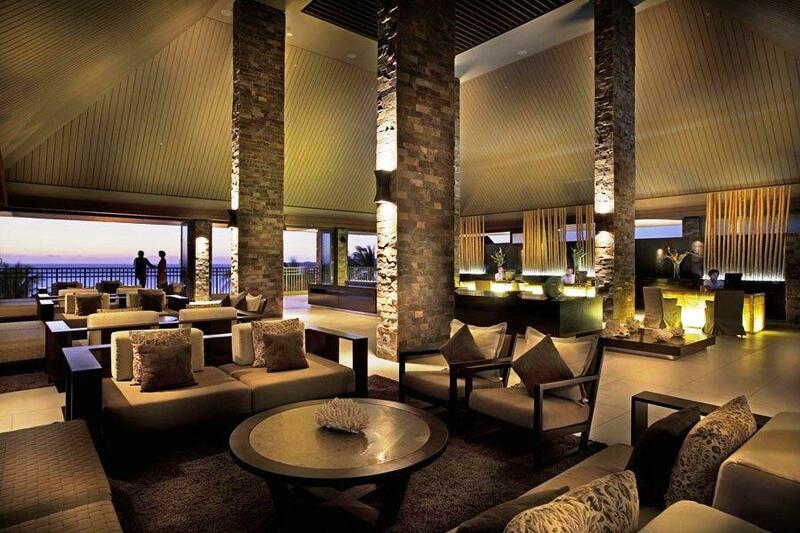 The InterContinental Fiji Golf Resort and Spa consists of 266 luxurious accommodation options including 216 guest rooms and 50 suites. 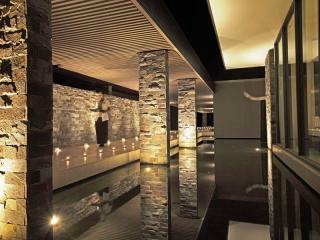 The guest rooms are approximately 63m² in size, with the suites 85m² in size. 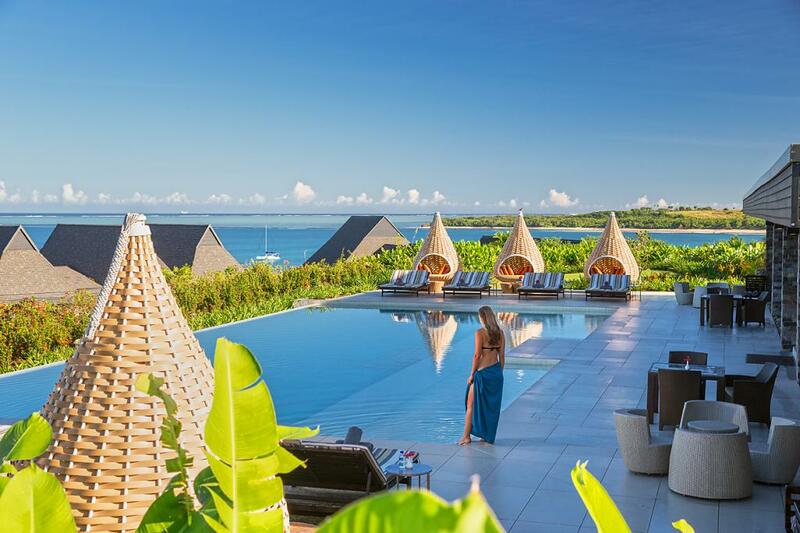 Choose from the tropical garden view room, Natadola Lagoon view rooms or the beachfront rooms offering stunning views over Natadola Bay. The suites offer a separate bedroom with a large lounge room spreading onto a double terrace where you can relax on the day bed. Garden View Twin Room: Located amongst tropical gardens. Size is 63m². Bedding is 2 Double Beds. No extra bed allowed. Maximum room capacity is 4 Adults OR 2 Adults & 2 Children. 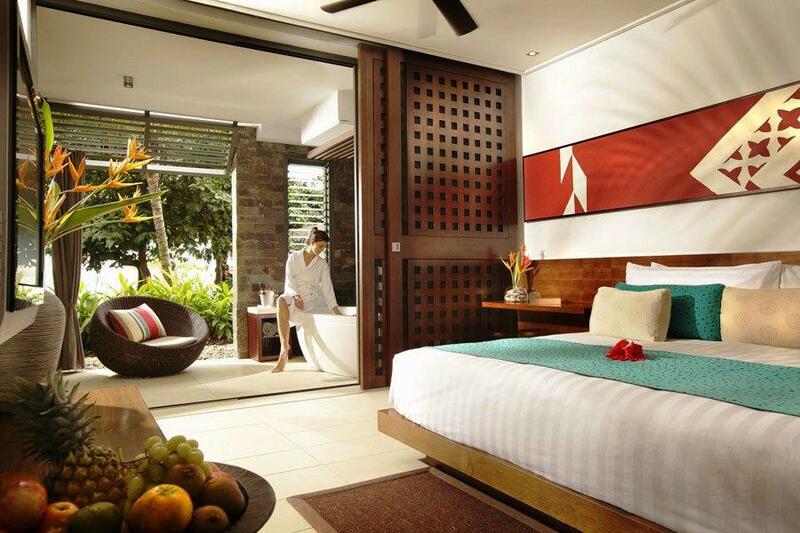 Garden View King Room: Located amongst tropical gardens. Size is 63m². Bedding is 1 King Bed. Maximum room capacity is 3 Adults & Children. A baby cot can be placed in this room type in addition to the maximum number of children. Pool View King Room: Located within easy reach of the Family Pool. Size is 63m². Bedding is 1 King Bed. Maximum room capacity is 3 Adults & Children. A baby cot can be placed in this room type in addition to the maximum number of children. 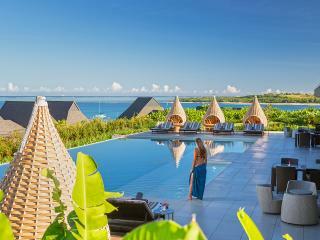 Lagoon View King Room: Located near Natadola Lagoon with views of either Navo Island or tropical gardens. Size is 63m². Bedding is 1 King Bed. Maximum room capacity is 3 Adults & Children. A baby cot can be placed in this room type in addition to the maximum number of children. 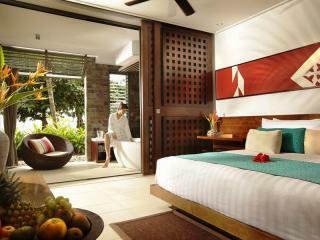 Beachfront View King Room: Located closest to and with views of Natadola Beach or tropical gardens. Size is 63m². Bedding is 1 King Bed. Maximum room capacity is 3 Adults & Children. A baby cot can be placed in this room type in addition to the maximum number of children. 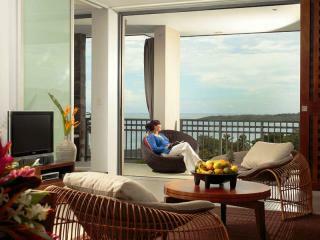 Lagoon View Suite: Located near Natadola Lagoon with views of Navo Island. Size is 85m². Bedding is 1 King Bed. Maximum room capacity is 3 Adults & Children. A baby cot can be placed in this room type in addition to the maximum number of children. 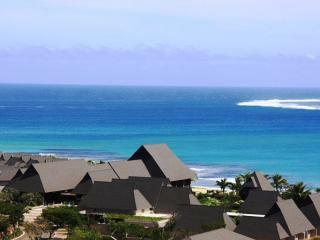 Beachfront View Suite: Located closest to and with views of Natadola Beach. Size is 85m². Bedding is 1 King Bed. Maximum room capacity is 3 Adults & Children. A baby cot can be placed in this room type in addition to the maximum number of children. 1 Bedroom King Club Suite: Features Club InterContinental benefits. Size is 115m². Bedding is 1 King Bed. Valid to 31 March 2019: Maximum room capacity is 3 Adults & Children. * A cot cannot be placed in this room type. Valid from 1 April 2019: Maximum room capacity is 3 Adults OR 2 Adults + 2 Children. *A cot can be placed in this room type if none or one roll-away bed is added also. A cot cannot be placed in this room if 2 roll-away beds are added. 1 Bedroom Club Suite Plunge: Features private plunge pool and Club InterContinental benefits. Size is 115m². Bedding is 1 King Bed. Valid until 31 March 2019: Maximum room capacity is 3 Adults & Children*. A cot cannot be placed in this room type. Valid from 1 April 2019: Bedding is 1 King Bed. Maximum room capacity is 3 Adults OR 2 Adults + 2 Children. *A cot can be placed in this room type if none or one roll-away bed is added also. A cot cannot be placed in this room if 2 roll-away beds are added. 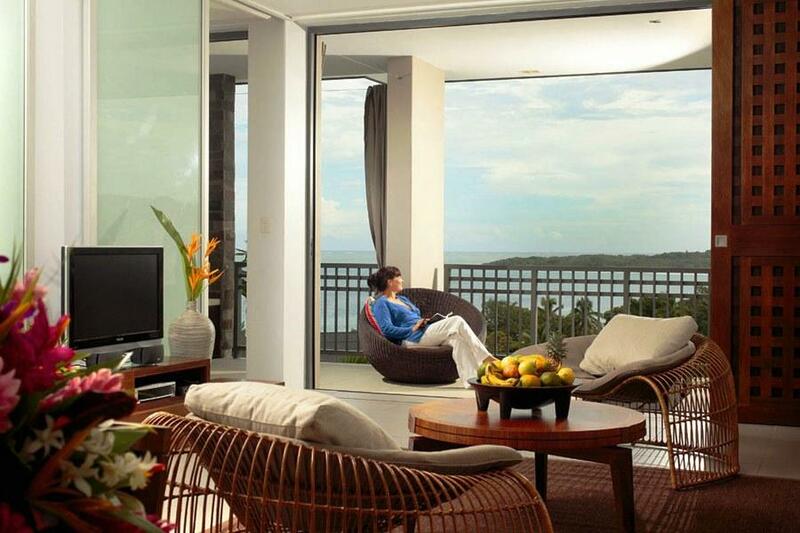 2 Bedroom Club Suite: Features InterContinental benefits and views of Natadola Bay. Size is 156m². Bedding is 1 King Bed & 2 Single Beds. Maximum room capacity is 5 Adults or 2 Adults & 3 Children*. A cot cannot be placed in this room. 2 Bedroom Club Suite Plunge: Features private plunge pool and InterContinental benefits and views of Natadola Bay. Size is 156m². Bedding is 1 King Bed & 2 Single Beds. Maximum room capacity is 5 Adults or 2 Adults & 3 Children*. A cot cannot be placed in this room type. Natadola Suite: Features a private pool and extended living space. Bedding is 1 King Bed + 2 Double Beds. Size is 218m². Maximum room capacity is 7 Adults & Children*. A cot cannot be placed in this room type. 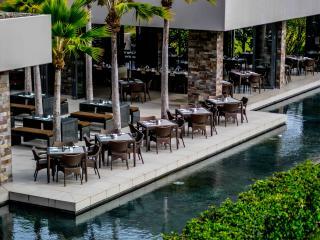 Sanasana Restaurant: Central to the resort is the all day dining restaurant bringing together internationally inspired dishes infused with local produce and flavours. Each night the chefs prepare a buffet menu with an inviting theme for guests to participate and enjoy. Open daily for buffet breakfast and dinner, with full a la carte option for lunch. Toba Bar & Grill: This all day dining offers relaxed poolside dining capturing the unique views of the bay and all Natadola has to offer. A feature of the menu is the gourmet woodfired pizzas for lunch and dinner. Open daily for lunch and dinner. 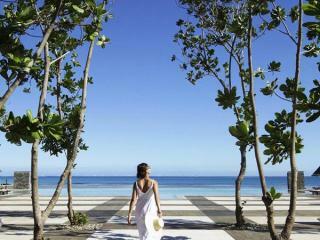 Navo (Signature Restaurant): The resorts signature restaurant Navo is located on the foreshore of Natadola Beach. 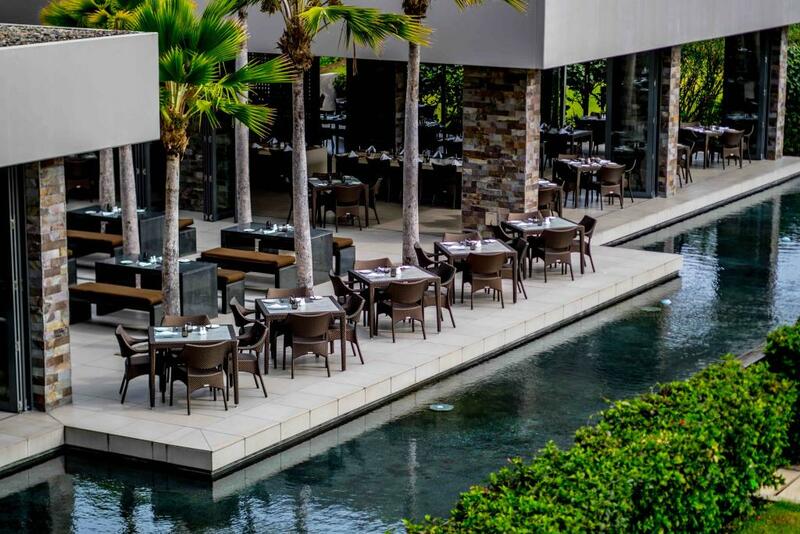 Navo is nothing short of spectacular, delivering contemporary cuisine centred around local fresh seafood together with an international wine list. Open for breakfast for guests 12 years + & nightly for dinner. 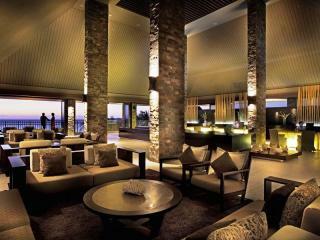 Kama Lounge: An uber chic bar is ideal for sunset lazing and star gazing. This is the perfect place to watch the evening indigenous and cultural show on the nearby Meke lawn. Open daily for lunch and dinner. Club InterContinental Lounge: Welcomes Children all day (excluding sunset cocktails from 5.30pm-7.30pm). Kids 0-12 years may attend family area, kids 12-18 years can attend main club area accompanied by an adult. 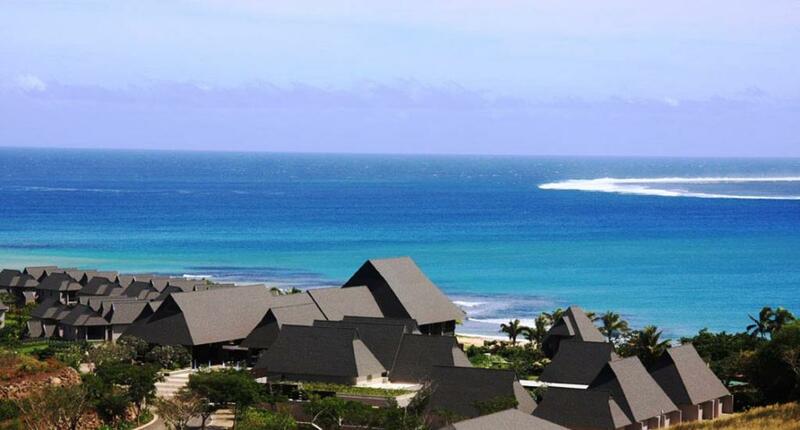 Set up high on the hill and offers amazing views out over the Pacific Ocean & the resort. Here Club guests can enjoy a high level of hospitality and offers an a la carte breakfast, lunch menu all day non alcoholic beverages, afternoon tea, even cocktails plus much more. Complimentary internet access, use of PC's and a selection of newspapers are also available. Golf Clubhouse: Located at the Natadola Bay Championship Golf Course and offers amazing views across the golf course and ocean. There is a complimentary shuttle that runs from the resort to the club house every half hour between 7am and 5.30pm. Open daily for breakfast & lunch. 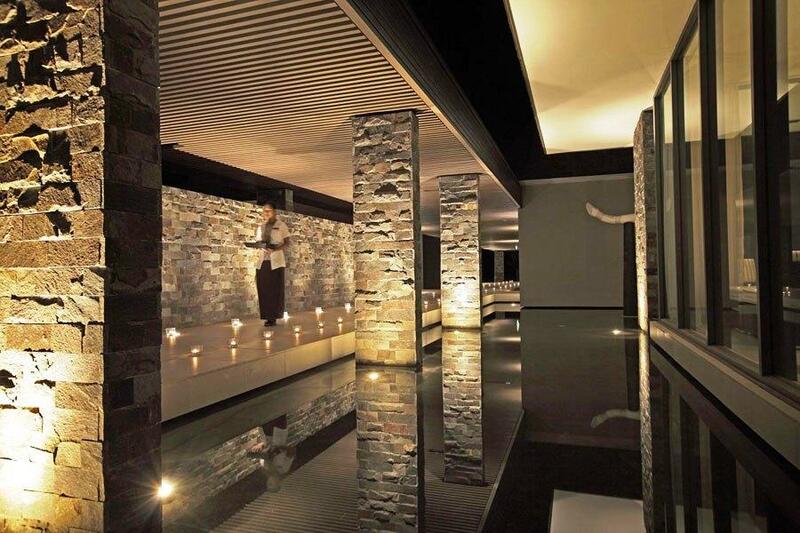 Spa Intercontinental: offers a range of treatments reflecting a fusion of Eastern and Western traditional techniques to harmonise the body and mind. 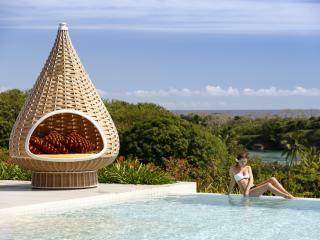 Be pampered with a tropical botanical facial, traditional Bobo massage or the Signature body polish. Open daily from 8.00am to 7.30pm and 8.30am to 10.00 pm during busy periods. Natadola Bay Championship Golf Course: This golf course meanders through rolling pastures to absolute beach front. 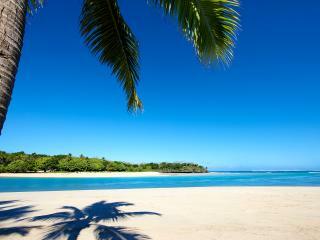 15 out of the 18 holes offer uninterrupted views of the Coral Reefs and rolling surf. The 209 metre practice fairway includes target greens, a seperate tuition tee, practice chipping and greens. Planet Trekkers Kids Club: is open daily from 9.30am - 1.30pm, 2pm - 6pm & 6.30pm - 10.30pm for children aged 4-12 years. The cost is FJD$32 per child per session including 1 meal. If children under the age of 4 years are wishing to join the kids club, they will also require the services of a nanny at an additional price. 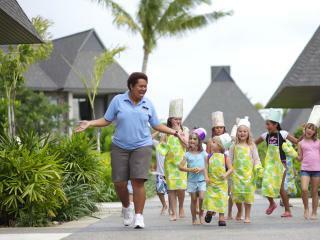 Nanny services are also available for approximately FJD$16.00 per hour per child (2 hour minimum). 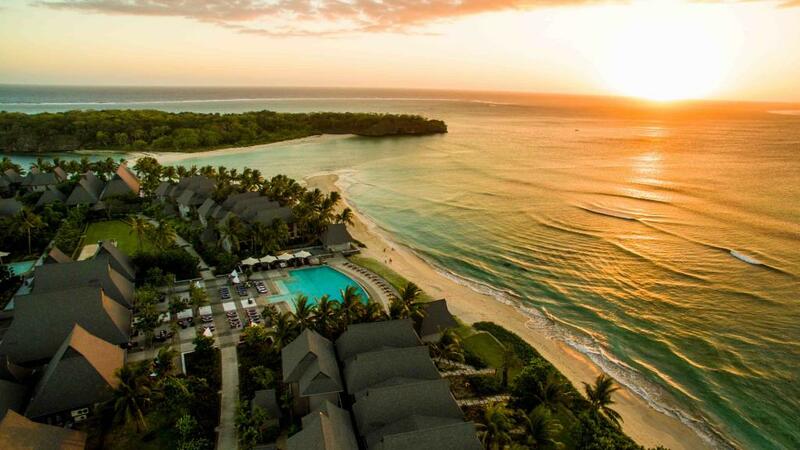 At InterContinental Fiji Golf Resort & Spa the dedicated team of professionals are on hand to ensure that your day is a truly memorable one where you are free to focus on your joy and happiness. Choose from the intimate wedding chapel with views of the tranquil azure Pacific Ocean, or be married on the white sands of Natadola Beach in the crimson rays of a spectacular Pacific sunset.